Innovative cruise line, Celebrity Cruises, has recently announced that their brand new ship, Celebrity Apex, will be operating out of Southampton when she launches in 2020. The announcement also marks another first for the cruise line, as they will be operating two ships out of the popular UK port for the first time, with Celebrity Silhouette also returning for her third consecutive year. 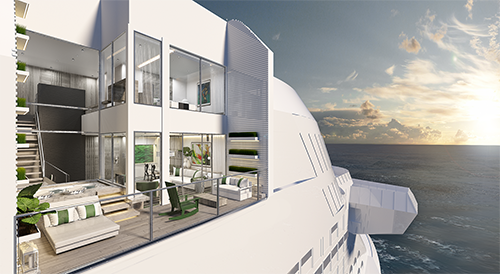 Celebrity Apex is the second in Celebrity’s Edge Class of ships and is set to be almost identical to her revolutionary sister ship, with the addition of new features such as its Edge Villas, featuring outdoor plunge pools. Set to elevate modern luxury cruising to a new level, this is an exciting opportunity for British cruisers to experience this pioneering vessel hassle free. Here are some of the exciting features that have been revealed so far. Celebrity Apex will boast some of the most luxurious staterooms and suites in the fleet. A highlight of the accommodation on board are the Edge Staterooms, which feature stunning Infinite Balconies. The ultimate experience comes from the spacious Edge Villa Suites. This twin-level accommodation will include an outdoor plunge pool, private sundeck and pool, and a personal butler - to name just a few. 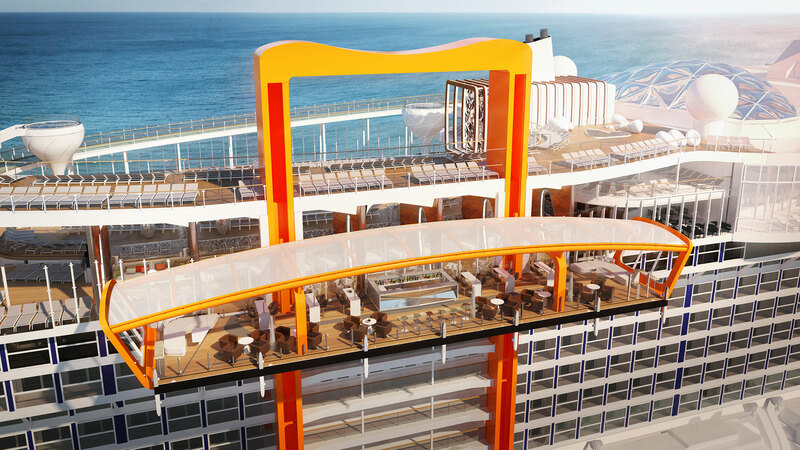 A unique feature first unveiled on board Celebrity Edge, Celebrity Apex will also feature this extraordinary venue. Situated on the starboard side of the ship, this spectacular space will host comfortable seating, a bar and space for live music performances as it reaches heights of 13 storeys above sea level. As it moves up and down the vessel, the Magic Carpet opens onto many decks, offering an exciting new venue wherever it’s positioned. Showcasing unparalleled views over the open ocean as you dine, the Magic Carpet is set to be a highlight of any Celebrity Apex cruise. Although a familiar sight for seasoned Celebrity cruisers, the Rooftop Garden on board celebrity Apex promises a revamped and elevated experience. 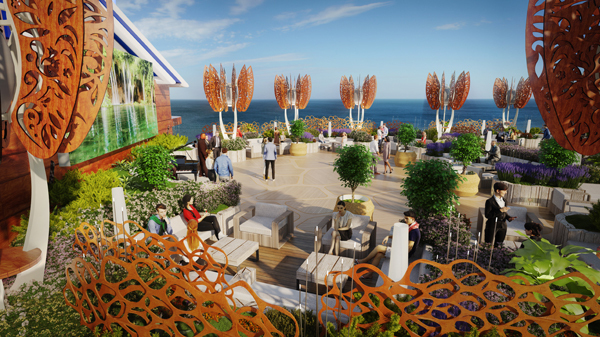 Designed as a ‘living urban play-scape’, The Rooftop Garden offers passengers endless ways to enjoy the outdoors from day to night. Sample your favourite cocktail as you take in the scenery, unwind with a daytime yoga session or enjoy a late-night movie or live band as night falls. Celebrity Apex will be available to book from 29th November 2018 for an exclusive mini-series of maiden voyages. For more information about the full range of Celebrity Cruises departures from the UK and Ireland, just call us on 0808 149 8065 or contact us through the website.